LionsDeal > Cookware > Pots & Pans >< Copper Cookware > Bon Chef 60304-Copper Country French Copper Saute Pan with Cover and Double Handle, 1 Qt. 20 oz. 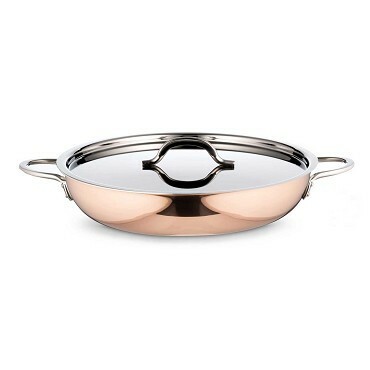 Bon Chef 60304-Copper Country French Copper Saute Pan with Cover and Double Handle, 1 Qt. 20 oz. 10 1/8" x 1 7/8" H.